The Citizens Savings Bank building was constructed in 1871 during the commercial boom of Jefferson. The property was sold in 1897 and is currently owned by a private individual. 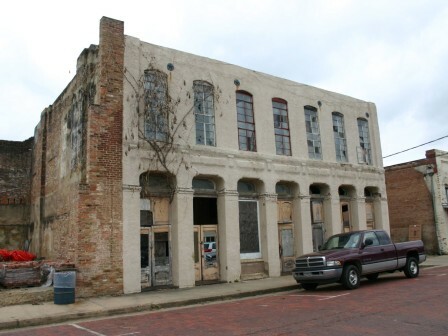 Representative of small towns in Texas, the former two-story commercial building has not been maintained and has been vacant for several years. Currently, the owner is seeking to sell the building for a large profit.